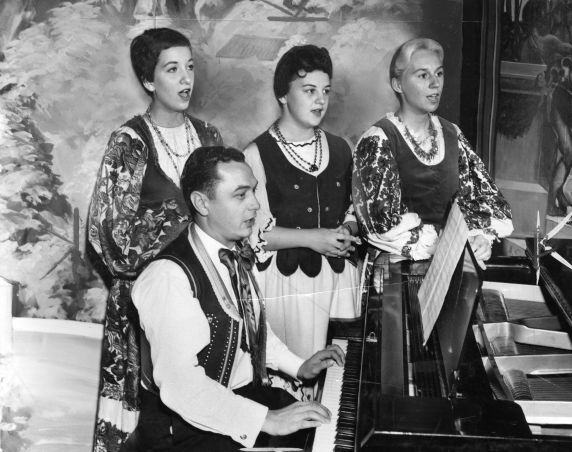 Members of the Croatian Singing Society perform for a Detroit News reporter. Left to right: Nada Sertich, Rose Ann Marelich, Barbara Pavkovic. Seated at the piano is James Kalich.